All users will be able to import and mesh geometry from native CAD file formats in Pointwise Version 17. In Gridgen, this capability was known as the Native CAD Reader, an optional, unbundled product that was licensed per format. 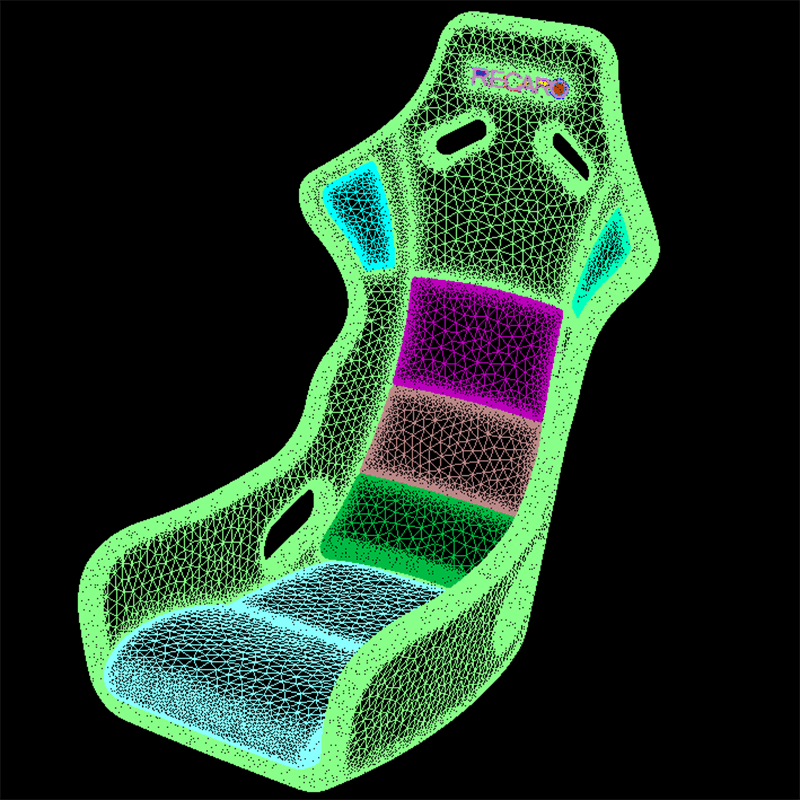 With the help of our new partners at CT Core Technologies (www.coretechnologies-inc.com) and their 3D_Kernel_IO libraries, all CAD readers will be bundled together with Pointwise. CAD formats supported in Pointwise include ACIS SAT, CATIA V4, CATIA V5, NX (and its predecessor Unigraphics), Parasolid XT, Pro/ENGINEER, SolidWorks, and STEP. All these formats are available on all supported platforms (with the exception of SolidWorks on 64-bit Mac OSX). Of course, Pointwise's native IGES import and export capability will continue to be available. There are several benefits to importing CAD geometry from a native file rather than from a neutral file. Eliminate the middleman. If you already have the CAD file, there is no need to convert it to yet another format. By eliminating the need to convert from CAD to neutral and then from neutral to mesher, you halve the number of conversions and, therefore, halve the potential for translation errors. Get watertight geometry. Most modern CAD systems automatically produce 3D solid models that are then imported directly into Pointwise. By working with solids, you help ensure that your mesh will be watertight. Integrate from multiple sources. When you receive geometry data in different formats from several contractors, vendors, and partners, there's no longer a need to translate them into a common format. Of course, the value of neutral standard formats has not been diminished. There are many instances (legacy data, for example) in which geometry exchange is aided by support for standard formats and that is why IGES and the new STEP reader are supported by Pointwise. Plus, standard formats are very well defined and relatively stable, whereas there is always the issue of updating for new versions of CAD files. Both native and neutral file CAD support are important and you get them both in Pointwise. Like their predecessors in Gridgen, the CAD readers in Pointwise do not use a license of the CAD software – all you need is the file. The file's contents are imported directly into Pointwise's geometry kernel, at which time they are usable just like any other bit of geometry whether imported from IGES or created in Pointwise. You can mix geometry data from several files and several formats. Details of the supported CAD formats are included in the following table. Table 1 - Supported CAD formats and versions in Pointwise. As mentioned above, by importing geometry from native CAD formats you are likely to import solid models from the file. A solid model is a topological entity that helps you mesh over gaps between surfaces. Of course, automatic and manual solid model assembly and editing are also available in Pointwise so you can create solids or change any solids that were imported. But when it comes to meshing, you need more than just the solid model. Yes, the model helps you create a watertight mesh. But the automated meshing procedures will create a mesh topology that matches the CAD surface topology – one mesh for each surface. This probably is not what you want because the surfaces in a CAD model are an artifact of the design process and the CAD software. This is where quilts come into play. A quilt is a collection of CAD surfaces to be meshed as a single unit – one mesh per quilt. 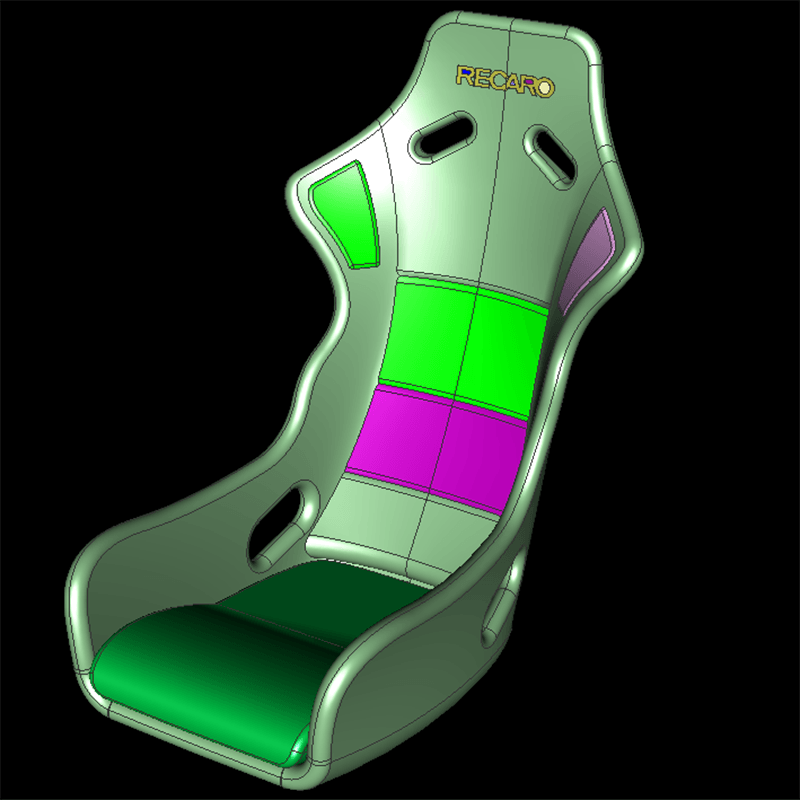 Take as an example the racing seat shown in Figure 1. This solid model was imported from a STEP file and consists of 200 individual surfaces delineated by the colors. 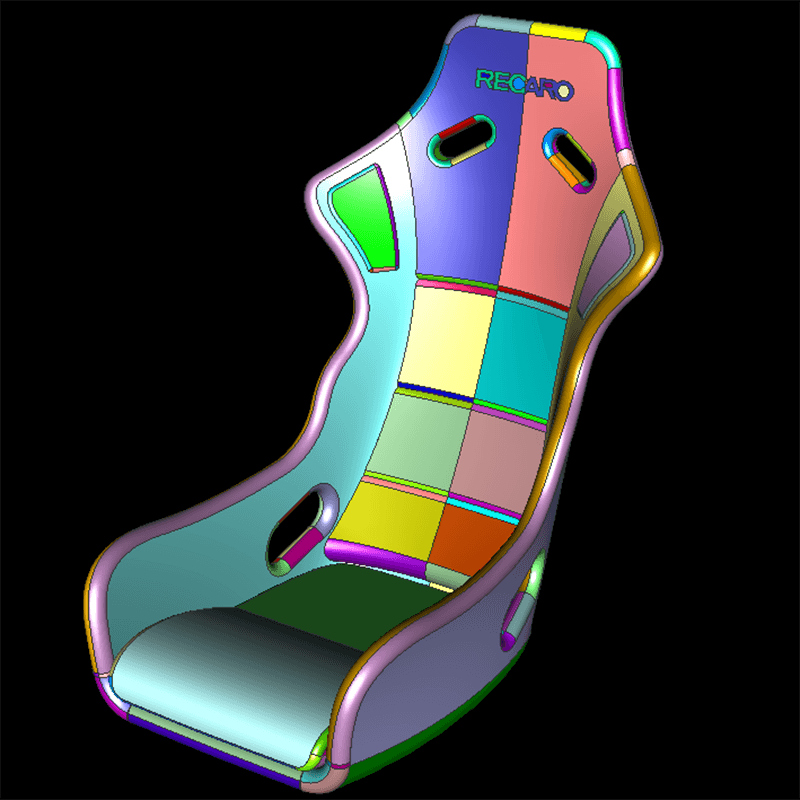 Figure 1: Solid model of a Recaro Profi racing seat imported from a STEP file. There are 200 surfaces in the model denoted by the different colors. Model by Klemen Erzen via GrabCAD. The complexity of this CAD model can be reduced by assembling the surfaces into quilts along feature lines. In this particular case, a feature angle of 20 degrees was specified and the 200 surfaces were combined into only 59 quilts, as shown in Figure 2. The quilts now correspond to regions on which a single mesh will be generated. Quilt assembly in Pointwise can be performed either automatically during CAD file import or manually on any portion of the model. The resulting surface mesh matches the simplified CAD topology (Figure 3) and thereby more accurately reflects the engineering intent rather than the CAD topology. Because the quilts are part of a solid model, the mesh knits together and is fully closed. Figure 3: The surface mesh follows the quilt topology and illustrates the use of curvature clustering and cell size variation. At the time of publication, beta testing of Pointwise V17.0 is nearing completion. When that is complete, we will begin regression, verification, and installation testing to ready the software for production release. 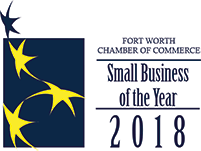 You'll receive a special edition of The Connector when Pointwise is released. In the meantime, those of you who aren't current customers can start an evaluation today so you're ready when V17.0 is released.